Each weekend we reach out to our network of editors, writers and bloggers for their thoughts on the country's biggest stakes races. On Saturday, the main attraction is Keeneland’s Grade 2, $250,000 Lexus Raven Run. At around the time they break from the gate at 5:30 p.m., stakes worth watching also run on both coasts. Analysis: Bonus Points returns to Maryland-Bred company after unsuccessful runs in open company graded stakes throughout 2017. Once on the Triple Crown trail, Bonus Points won the open-company Parx Derby and placed in the Jerome Stakes. Bonus Points has two second-place finishes in two tries in Maryland-Bred company, including a second in last year's Maryland Juvenile Futurity. With the drop in class, a return to state bred company, and a track he likes, Bonus Points has what it takes to get the job done Saturday. Analysis: Clubman won his last three starts under Sheldon Russell and the fresh, improving gelding drilled a local bullet Oct. 13. With a lot of speed drawn to the inside, Southside Warrior should sit a great stalking trip. The claim three back looks like he was intended for this spot. Bonus Points and Ghost Bay both look like they will benefit from an expected swift early pace. Analysis: Clubman is training very well. He's a gutsy, consistent horse who's riding a three-race winning streak into this weekend's race. John Jones is coming off a prep race after a long layoff. He was game last time out coming seven wide into the stretch. I think he is one of the biggest threats Saturday. Analysis: As a Maryland resident I should have this one, right?! I am going with a horse and team that love Laurel as much as I do. Jockey Sheldon Russel puts the exclamation point on a great comeback story. Analysis: Tribalist won four races before finishing second in the Eddie Read last time out. His racing record rises above the rest. Analysis: Richard's Boy is a fresh, classy downhill specialist with Flavien Prat in the saddle. It looks like he catches a favorable pace scenario. Analysis: Tribalist is one of the best turf sprinters in California. While he seems a bit better at 5 furlongs, he should still perform well here. In a race with little early pace, Richard’s Boy rates a good chance to take the field wire to wire. In addition, he loves running down the hill with only one off-the-board finish in eight tries. Tribalist is training good and is a very consistent horse. He finished a strong second last time out. He should be toughened up and ready for a strong effort Saturday. B Squared has faced strong competition, and I think he fits very well in this field and has as good of a chance as anyone to win. Analysis: I would be all over Victor Espinoza and Tribalist if this race was shorter, but at 6.5 furlongs I see them running out of gas down the stretch. El Tovar should get a decent pace to run down late. Analysis: Overture has done little wrong in her career. She has hit the board in all seven career starts and is a Grade 3 winner. The addition of Jose Ortiz is a huge bonus for this filly, and at 10-1 on the morning line, is a very nice price pay for a filly whose very consistent, has one of the top jockeys in the country, and cuts back to a distance she should like. This Florida-Bred should use her natural speed to get up front and stay up front and is ready to roll for a nice price. Analysis: The Into Mischief filly Miss Sunset has been consistently in the money in her last 5 races, winning the last two. Tequilitia has shown great promise, winning the Charles Town Oaks last time out. Both fillies have had good works. Analysis: Classy Tune is fresh and might sit the garden spot trip. She ran fast enough to win this at Del Mar Aug 20. 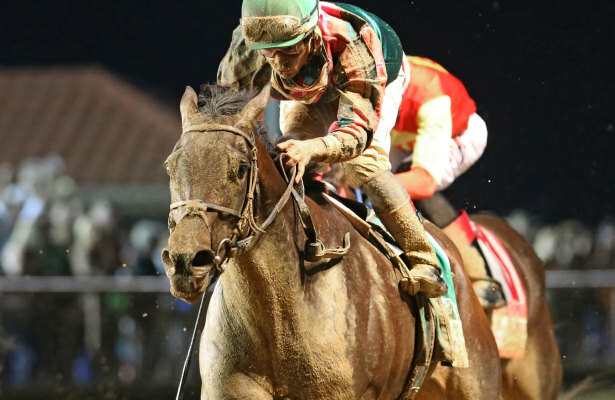 Analysis: Tequilita has never been off the board more than two times in her life, her debut and the Kentucky Oaks. She is strongest around one turn and here she is, coming in off a good win in the Charles Town Oaks. Analysis: Chalon returns from a two-week layoff where she finished second behind top sprinter Finley'sluckycharm. Back against own age group and one of two controlling speeds. Nonna Mela has trained forwardly for this and is undefeated in sprints when coming off a layoff. Chalon stayed on well against older over the track two weeks back. Happy Mesa must be feared if able to transfer her top turf speed figures to the main track. Analysis: Nonna Mela is coming off a game runner up finish in the Prioress Stakes at Saratoga. She's rested up and ready for a big effort. Tequilita is training well and coming off a confidence boosting win in the Charles Town Oaks, which didn't come easy. She was wide at the top of the lane with her saddle slipping back. I expect a strong effort. Analysis: I am most intrigued by Nonna Mela in this one. I felt like she was on the verge of taking a giant step forward in the Prioress but seemed to get stuck on a sloppy track at Saratoga.